Added on 10 July 2014 . By Kiran Khattra. 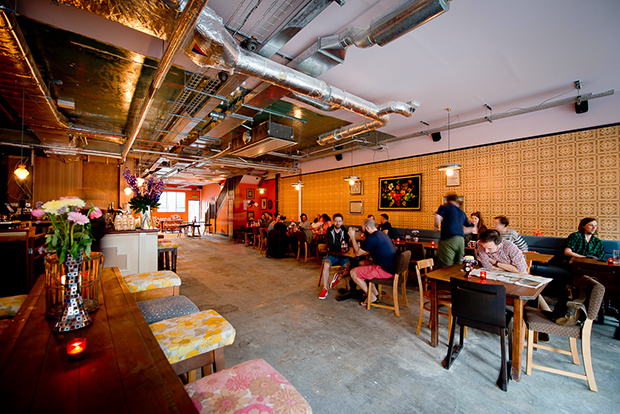 The newest pub from the Antic Collective, The Job Centre - which was once an actual Job Centre - is a spacious pub which includes a lounging and dining area, a creative events space and private room for hire. The versatile venue serves up locally sourced and brewed beverages accompanied by a traditional British menu of small plates and sharing boards. The ideal spot to grab an after work drink or chill out with friends, The Job Centre has plenty of room for everyone to enjoy the ever-changing selection of craft beers, spirits and wines. If you're feeling peckish then you can nibble on the small plates or feast on a sharing board. The mix of vintage decor and quirky furnishings makes this Deptford pub truly unique and with the turntables playing nothing but music on vinyl, it is a definite hit with the locals!